There are two main tools that you will need to knit: yarn and needles. Yarn comes in a wide variety of colors and is usually sold as a large ball or on a spool. The label should tell you the characteristics of the yarn, including how much it weighs, how long it is, how it was dyed, how much fiber it contains, how to wash it, and which size needle will work best when using it. Many knitters keep the label from their yarn as a reference tool for later use, especially if they run out mid-project and need to buy some more. Some great brands of yarn include Lion Brand and Red Heart. You will also need a pair of knitting needles, or knitting pins as they are sometimes called. There are three main types of needles to choose from, although the most commonly used are those that are slender and have a knob on one end. The other end tapers off. Typically these needles are anywhere from ten to 16 inches long, but that doesn’t affect the width of the pieces that you can knit with them. The diameter of the needles will tell you how large the stitches of what you make will be. Needle diameter ranges between two and 25 millimeters, or up to one inch. Needles can be made from different materials, including metals, plastics, bamboo, or wood. You can choose your knitting needles based on your own personal preference. When you knit there are endless things to make. Most people tend to think of scarves and socks when they hear the word knitting, but there are trendy things to knit too. Beanies are one idea for a practical and stylish hat. Cute headbands are also in and are one of the easiest things to try your hand at. And there’s always sweaters, which actually don’t have to be frumpy as you might imagine. Today there are a ton of modern patterns for people who want to make something fashionable, such as a warm sweater dress or a wrap. If you’re looking for something to knit, start simple. When you don’t have experience, you’re not likely to succeed with a complicated pattern. You can use internet directories, such as Knitting Pattern Central to find patterns that are appropriate for beginners. Once you have some experience under your belt, you’ll be less likely to mess up. But keep in mind that even if you do make a mistake, it’s usually fixable. The most tangible benefit of knitting is the end product. When you knit, you create something that is totally unique. You can make a new sweater for yourself or personalized socks to give to a friend as a gift. However, knitting also has some other fairly significant benefits. 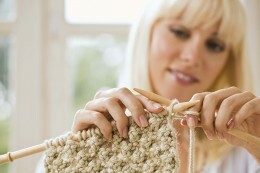 In particular, knitting has been shown as an aide in helping to prevent depression, manage stress, and cope with pain. 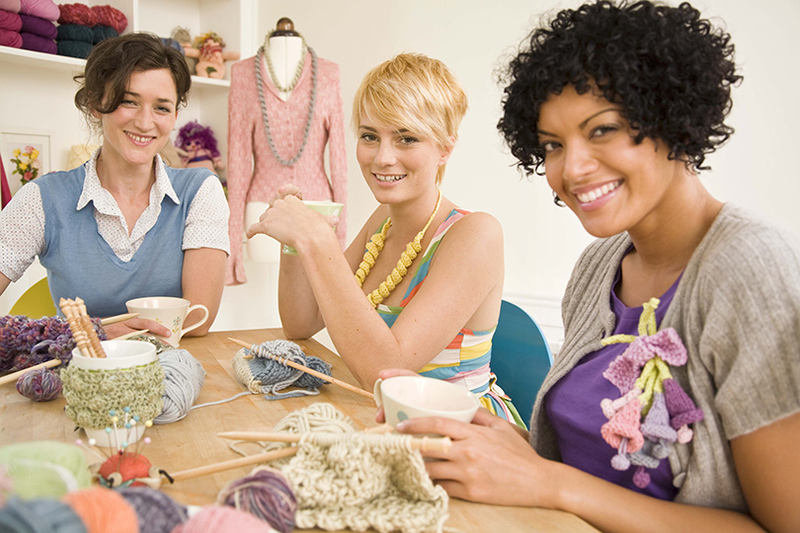 The repetitive action involved in knitting is relaxing and good for one’s physical health. It has been shown to help strengthen the immune system, decrease the likelihood of developing illness, lower blood pressure, and stabilize the heart rate. In many people, knitting has been found to stimulate a pleasurable response in the brain. Knitting is also associated with a reduced risk for developing dementia or Alzheimer’s disease later on in life.